Microsoft's earnings rose 31% to $5.2 billion on sales of $16.4 billion in the third quarter for fiscal 2011. That's certainly some remarkable growth by anyone's standards but the company's latest report is interesting for a few other nuggets, like the fact that it marks the second straight quarter that revenue in Microsoft's Windows division has dropped from the previous year, and the first time in 20 years that the software maker reported a smaller quarterly profit than Apple. Revenue in the Windows division fell 4.4% to $4.45 billion, a setback Microsoft blamed on a "mixed PC market". That market declined somewhere between 1% and 3% percent during the quarter, according to estimates from Gartner and IDC, but sales of Windows to consumers actually fell 8%. While reports that the iPad and other tablets are starting to replace PCs may be premature and exaggerated, it's clear that they accounted for some of Microsoft's sluggishness in consumer sales. And with Windows 8 still expected to be at least a year away this trend will likely continue. Luckily for Redmond it can still rely on its other cash cow to make up for the slowdown. Some time during the past three months, Office 2010 moved from being Microsoft's "biggest consumer version of Office in history" to the "biggest version of Office in Microsoft's history." Sales for the division rose 21% from a year ago to $5.3 billion. Microsoft's entertainment and devices, which includes the Xbox 360 and Windows Phone, is also becoming a powerhouse of its own. The division saw sales increase 60% to $1.9 billion compared to the same quarter last year. 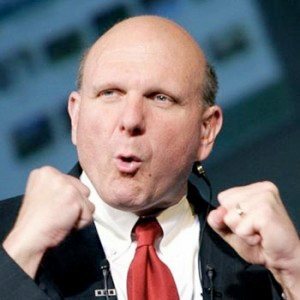 During the three-month period that ended on March 11, Microsoft sold 2.4 million Kinect motion sensors and 2.7 million Xbox 360 video-game consoles, a healthy bump from the 1.5 million consoles sold in the year ago quarter. Lastly, the Servers and Tools division saw sales increase 11% to $4.1 billion and operating income rise 12% to $1.4 billion, while the Online Services branch responsible for Bing and MSN rose 14% to $648, but continues to burn money with an operating loss of $726 million.